YOU'RE READING Is it really about who you know and not what degree you have? We're seeing more students graduating every year and the excitement of it all is euphoric. However, it seems like your qualification is not the only thing you'll need to get you the job you want. Season after season, our social media feeds are adorned with beautiful, inspiring pictures and stories of students from various backgrounds sharing their academic successes with us. To be quite honest, there is nothing that brings a proud grin to my face quite like seeing people celebrate the excellent achievements that they have so earnestly worked for. For many, it is more than a day’s celebration: it is a whole generation’s moment of pride. 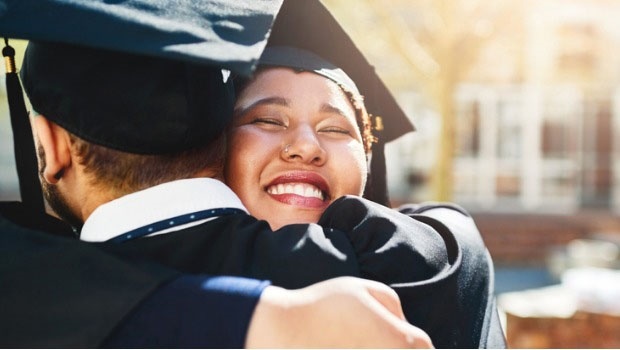 Especially for those who are the first to graduate in their families, and for those who have gone to great lengths and have thrived despite various challenges to attain their qualification. You need connections... - unemployed graduate. It is an unfortunate fact, however, that even after so many success stories from universities and colleges all over the country, the unemployment of youth is still a hot topic. I’m from the small town of Bronkhorstspruit where - while a majority of black learners enthusiastically applied to the institutions of their choices, chasing after the qualifications necessary for their dream careers - they wouldn't have the advantages or privileges of taking over their parents’ businesses and work in places where someone they knew had already secured a position for them. Of course, this didn’t seem like a big deal to me before I enrolled into university, but now that I’ve graduated and I have seen what the real world is like off campus, I wonder how important having the right connections and knowing the right people is and whether having a degree in this era is as vital as we believe it to be. In the light of this, it is not a terrible thing when you’re able to get into certain places because you know someone or know someone who knows someone (people who go to clubs and parties will tell you that’s the best way to get in), but to the people who work hard but just don’t have the right numbers to call, this might seem like an unfair head start. If having connections is a prerequisite for getting employed faster, then you might want to make it a habit of getting to know the people who could help you get to where you need. Connections can be made through internships, job-shadowing, vacation work and career fairs, says Professor Mpedi. Connections will open the door but your degree(knowledge & experience) is what you use once you're inside. Make the most of socialising and getting acquainted with the people within your course or field – you never know if the next friend you make could help you get the access you need to accomplish your goals. How to become a private pilot - hours, money, trend?